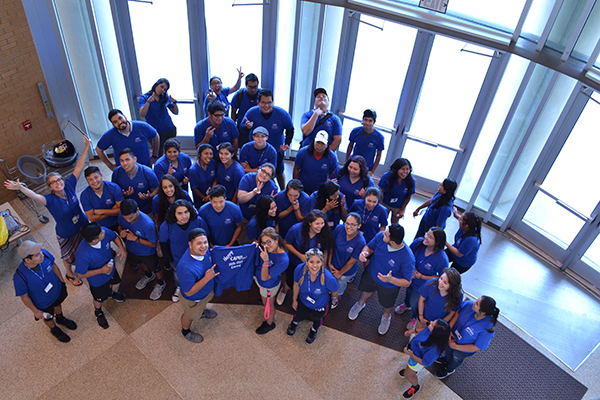 Pictured here is the first cohort of UNG's CAMP program along with staff and advisors. The first full cohort of the College Assistance Migrant Program (CAMP) at the University of North Georgia (UNG) will mark a major milestone as 38 students complete the program and graduate on April 28. 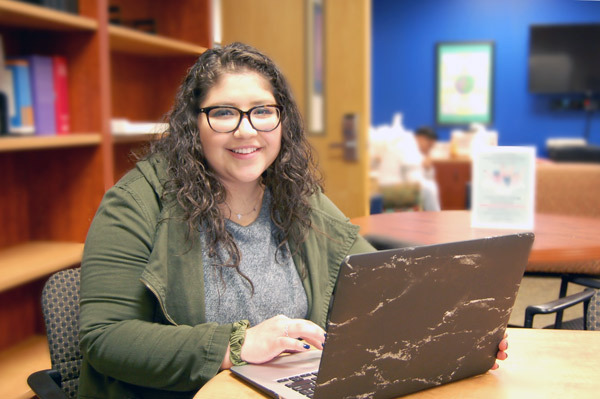 Offered on the university's Gainesville Campus, CAMP is a first-year scholarship program established to provide students with academic, social and financial support to enable them to complete their first year of college and beyond. CAMP is grant funded by the U.S. Department of Education's Office of Migrant Education, and is administered through the University College in UNG's Academic Affairs Division. 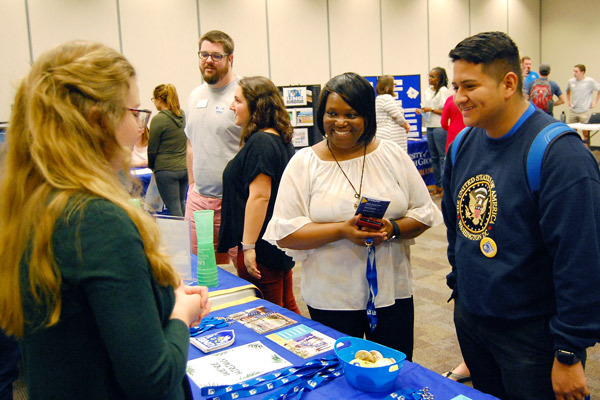 "UNG's High School Equivalency Program (HEP) and CAMP are crucial to the university community because they provide educational opportunities to a small, underrepresented and sometimes forgotten population in the United States," said Christian Bello Escobar, director for migrant programs and services at UNG. "There is a significant number of migrant and seasonal/temporary farmworkers in Hall County and surrounding counties. This population lacks the initial resources to start or continue their education, and these programs are the gateway to further development of our nation's workforce to impact local, state and national economic development." CAMP provides many benefits which include, but are not limited to, supplemental financial aid assistance, one-on-one academic advisement, a textbook stipend, tutoring and mentoring, workshops focused on improving and developing students' skills, and cultural events/service learning opportunities. In addition, a stipend is awarded during the first academic year to students that actively participate in the program. "CAMP hosts different workshops during our weekly meetings that are designed to encourage us and support us as individuals and college students. The program also promotes migrant culture as a source of empowerment, and emphasizes education and diversity," said Daniela Dominguez Rodriguez, who will graduate from CAMP on April 28. "Thanks to CAMP my leadership skills are stronger than before, my professional skills have been developed by being a CAMP intern, and the exposure of a professional environment helped me to be more prepared for life in general. Without CAMP's help my first year experience probably would not have been as successful." Also, UNG's first participants in HEP are close to earning their GEDs; one student has already successfully earned the degree, and five more are expected to earn it by the end of June. Funded by $1,498,134 from the U.S. Department of Education's HEP, UNG launched its own five-year HEP that will enable 50 migrants to attain a high school education free of cost. 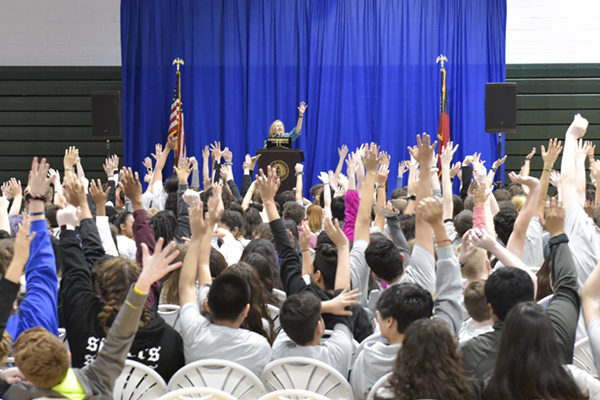 On April 15, CAMP and HEP hosted more than 100 students and families from the north Georgia region for Migrant College Day at the Gainesville Campus. "We showed them the benefits of continuing their education at the University of North Georgia, and also exposed them to CAMP and HEP," Bello Escobar said. "We also hosted Migrant Experience Day on April 21 with the help of our Migrant Student Union, and had a series of games that mimic the field experiences of migrant workers." Learn more about CAMP and HEP.